which has come from various sources on the net and from other generous researchers and various librarians. My search also accidently put me in contact with a cousin of whose existence I was totally unaware. She also is a grandchild of John Mackenzie and his wife, Ruby. It is to her and her husband, John, that I am grateful for editing and providing new material for this search. The Mackenzie family trace their lineage eventually back to the original Mackenzies of Gairloch, on the North West Highland coast of Scotland, Wester Ross. Over time the family’s fortunes ebbed and flowed. They moved from the west coast to Wick in Caithness. There are also links to the Cormacks, the Sinclairs and the Phimisters. Eventually, the family had moved from the north west of Scotland to the north east around Wick in Caithness. John’s grandfather, also a John Mackenzie (b. 1804, Gairloch), is listed in the 1851 Scottish Census as a "fisherman of Wick". JCM's grandmother was Isabella Phimister. 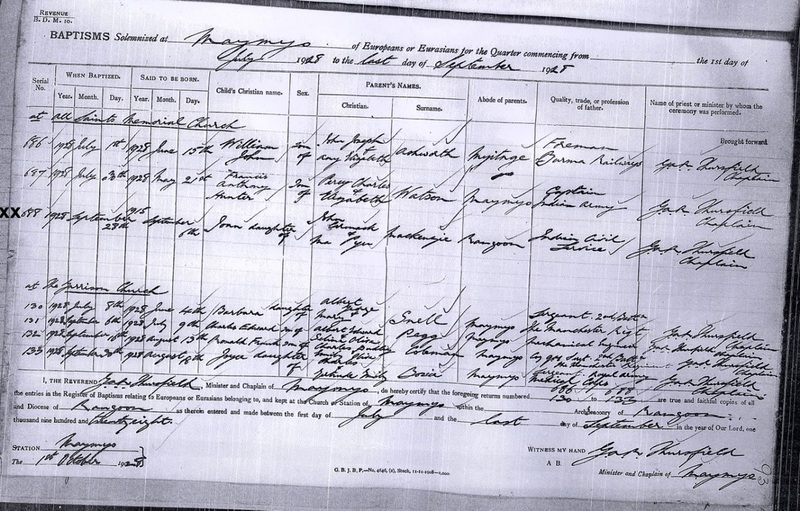 By the 1861 Census John’s grandfather's occupation is given as “labourer”. JCM's father, George, seems to have moved from Wick to Leith in Edinburgh. George was a ship's carpenter, shipwright or boat-builder. He was living in 5 Master Street, Leith, Edinburgh when on the 6th August 1878 he married Elizabeth Cormack, draper’s saleswoman, spinster, 25, of 2 Caledonian Terrace, Edinburgh, daughter of James Cormack, Ship Master (deceased) and Margaret Green. George Mackenzie and Elizabeth Cormack were listed as living at 6 Morton Street South Leith in Edinburgh in the 1881 census. George listed as a “ship’s carpenter.” By the 1891 census their family had grown and they had moved to 70 Ferry Road, North Leith where George was now classified as a “Ship builder”. Each of the homes is near the docks. John Cormack Mackenzie, then, was born on the 17th September 1882 at 233 Leith Walk, Leith Edinburgh. He was the son and second child of George Mackenzie, shipbuilder of Wick, Caithness, Scotland, and his wife Elizabeth Cormack. His siblings were Margaret born 1880, Isabella b. 1883, Elizabeth b. 1886, Edith b. 1888, and George b. 1889. At the age of 7 Mackenzie began attending Daniel Stewart's College, Edinburgh, and remained there until 1900. Melville College had been founded in 1832 by Rev. 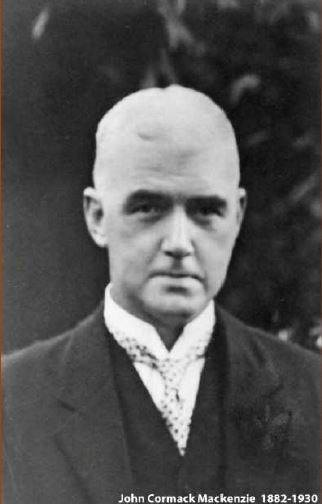 Robert Cunningham. Originally named "The Edinburgh Institution for Languages and Mathematics", its name changed when the school moved to Edinburgh's Melville Street in the city's West End. Daniel Stewart's Hospital was opened in 1855 by the Merchant Company of Edinburgh, to whom Daniel Stewart, upon his death in 1814, left a sum of money and instructions that it should be used to create a hospital for needy boys within the city. The hospital was located on the current Queensferry Road campus. 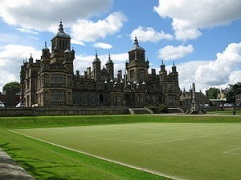 The hospital was transformed into "Daniel Stewart's College" in 1870. The Queensferry campus was about 5 kilometres from where he lived. After graduating with honours at Edinburgh University he passed the examinations for the Indian Civil Service. He was appointed to serve in Burma and held positions, first as Assistant District Commissioner and latterly as District Magistrate, until 1923, when he was appointed Commissioner of Income Tax for Burma. This important position he held until his untimely death at the age of 47, at Rangoon in 1930. 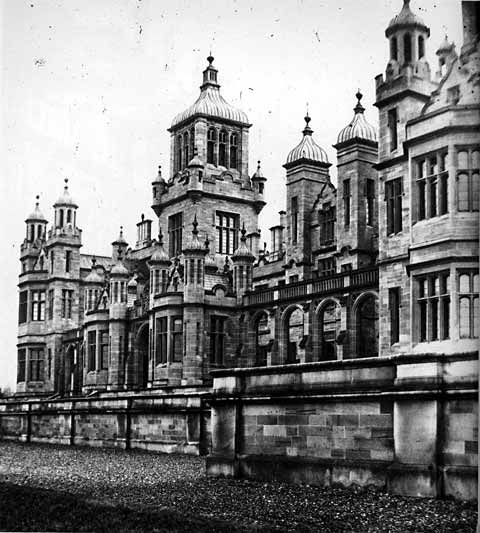 Next, Mackenzie successfully gained a Master of Arts from, Edinburgh University which he attended from 1900-1905. He applied and was accepted to become an Indian Civil Service probationer for which he was required to undergo a year’s study at Pembroke College, Cambridge. The Director of Studies of that course was G.P. Moriarty. 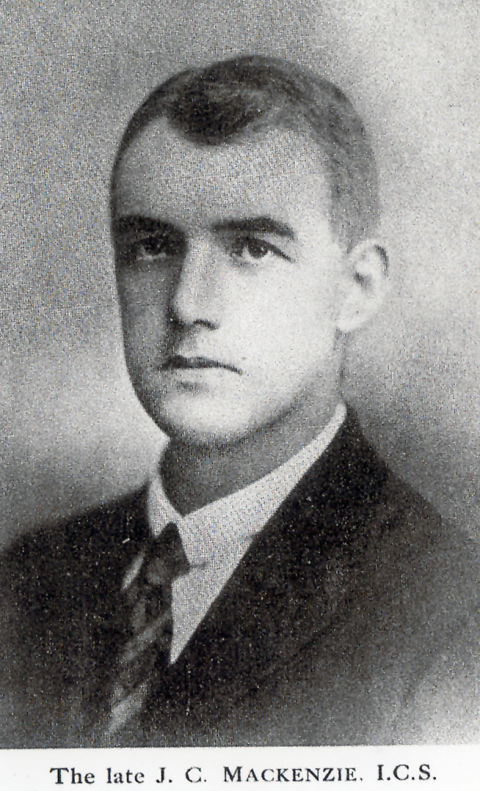 According to his record in the Term Books in Pembroke College Archives, he stayed only one year, completing the three terms of Michaelmas 1905, Lent 1906 and Easter 1906. The Tutor's examinations notebook has him studying Indian History, "Code"- presumably Indian Law, Burmese, and Chinese, this last with Professor Herbert Allen Giles, but otherwise there are no details. The account by A.J.S. White will give some idea of the manner in which the ICS recruited its members. Of the entrance course for the ICS, White writes, I was pleased too, to hear from the High Commissioner for India that I should be required to I return to Cambridge for a year as an I.C.S. probationer to study Indian Law and History and to learn a language. They would cover my expenses with a grant of £300... I would have to pass an exam in Indian History, Indian Law and Burmese at the end of the year... I soon sat for the end-of-year exams for the I.C.S. probationers held at the Civil Service Commission building in Burlington Street and passed with about average marks. I also had to take the riding exam which was held in the riding school of the Royal Military Academy at Woolwich, the cadet college for the R.A. and RE., which was later on amalgamated with Sandhurst. 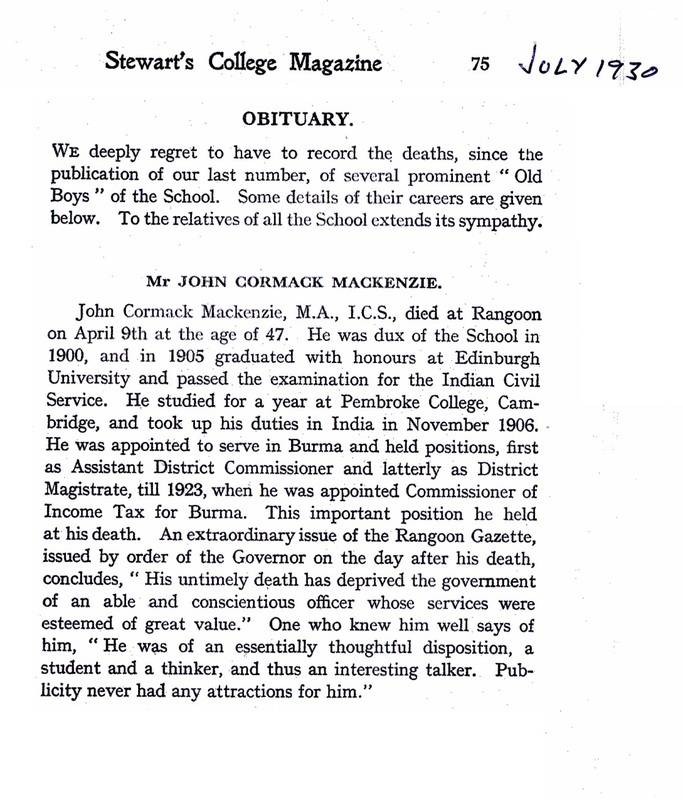 After taking his exams in 1905 Mackenzie was appointed to the Indian Civil Service on 31st October 1906, and arrived in Burma on 26th November 1906. On the 3rd December, 1906 he was sent to the port city of Bassein for training as A.C. (Assistant Commissioner) 4th Grade, and A.T.J. (Additional Travelling Judicial Magistrate?). His career indicates that he must have had skills as an administrator, enough to impress his superiors to grant him fairly rapid promotion. After two years at Bassein he was moved further inland to Wakema for training as S.D.O. (Sub-divisional Officer). In the same ranking he was moved further west to Kyaiklat. After four months at Kyaiklat he was transferred back to Wakema on 17th June 1908 still in training as S.D.O. as well as S.D.J. (Sub-Divisional Judicial Magistrate). Mackenzie's training continued when he was transferred after six months to Yinmabin in the Lower Chindwin District, in Northern Burma. He seems to have remained in the north in 1909 and 1910 – on 19th November 1909 he was in Meiktila as F.S. (Financial Secretary? ), and on the 7th April 1910 he was appointed to Shwegyin. At Toungoo he was promoted to D.C. (District Commissioner) 3rd Grade on 15th April 1910, then back to Shwegyin and on to Myingyan as A.S.O. (Assistant Statistical Officer?). It is possibly here that he met and “married” a Shan lady, my grandmother, Ma Pyu. It would seem if one looks at the footnote that it was only a marriage in name. 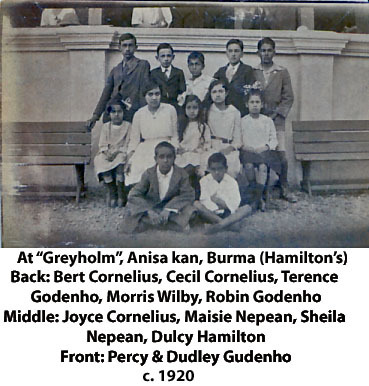 Nevertheless, on the 19th April 1911 a daughter, Maisie, was born at Myingyan, in Upper Burma. He took 2 months and 20 days leave from the 1st August 1911 with a subsequent 7 days in October. Two years later he was posted as a "Settlement Officer" (S.O.) in Thayetmyo, where he was when he was listed in Thacker's Directory for 1915. In addition to his own duties he officiated as Deputy Commissioner from 7-14 July 1914. He remained at Thayetmyo for a further three years gradually moving up the grades. However, from 23 August 1916 he was on furlough for 13 months and 8 days ("on account of ill-health"). On 6th September, 1915 another daughter, Joan, was born. Mackenzie's leave seems to coincide with the birth of his daughters, but that may purely be conjecture. 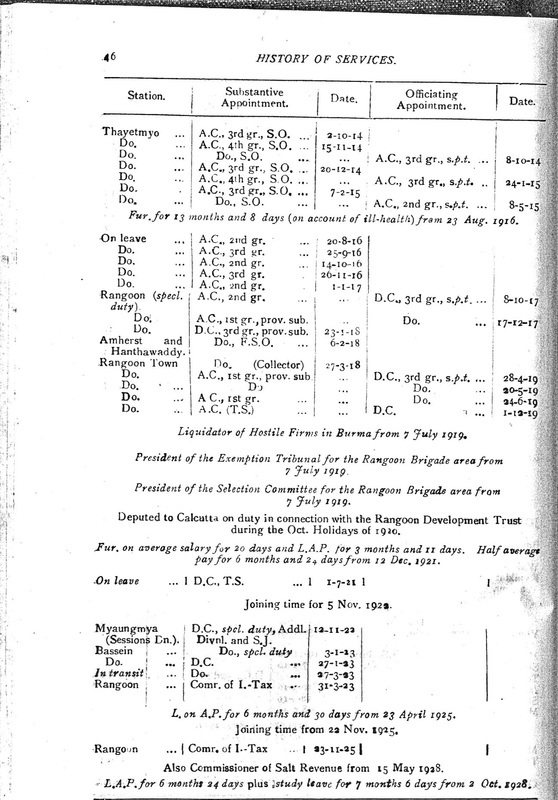 “Report on the settlement operations being original settlement in the Sinbaungwe Township and in parts of the Minhla, Thayetmyo, and Allanmyo Townships and Revision settlement in parts of the Thayetmyo, Allanmyo, and Mindon Townships of the Thayetmyo District season 1913 -16”. It was one of a series of reports written to assist the administration in Burma. In 1917 he was transferred to Rangoon on special duty as A.C. first grade. As well in this period he served as F.S.O. (Financial Secretary of the Treasury?) 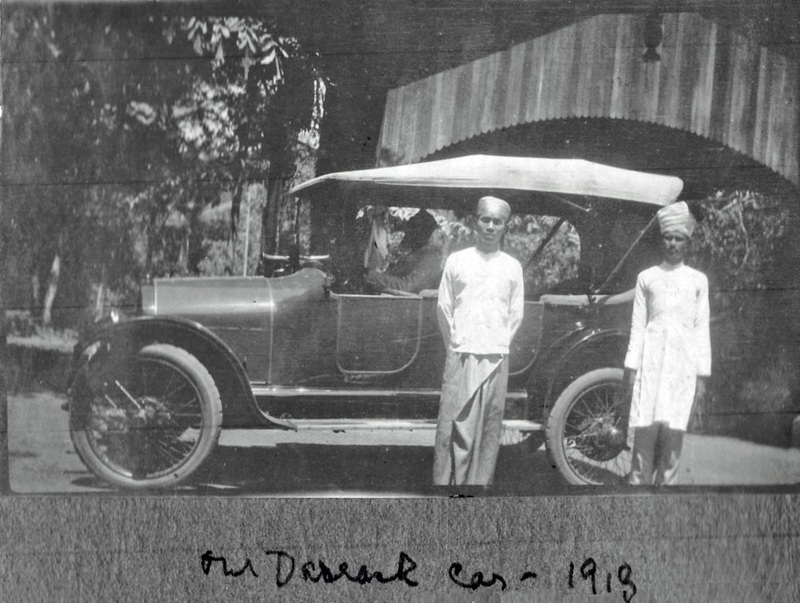 at Amherst (Kyaikkami) and Hanthawaddy, before being appointed to Rangoon Town as Collector in 1919. Ma Pyu disappears from the family life, whether she died or not after Joan’s birth seems unrecorded. 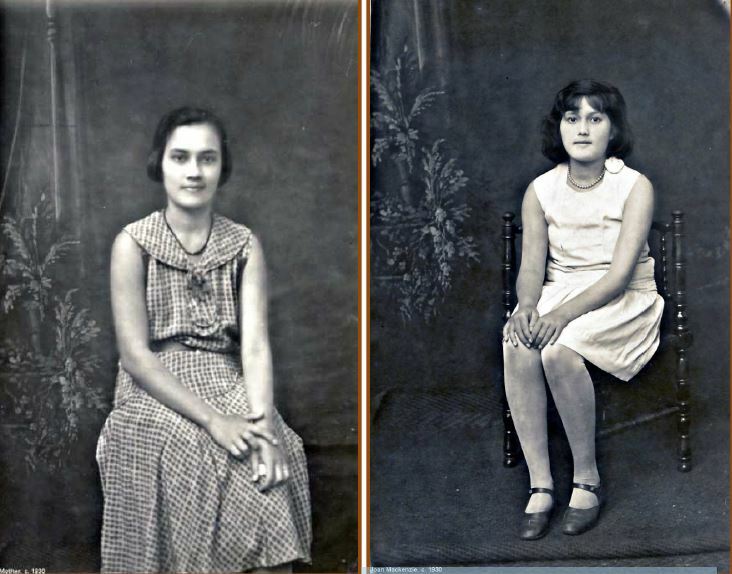 My mother says that at about age 5 she was brought up by a governess. Strangely the Baptismal Certificate of my mother, Maisie Mackenzie, shows that she was baptised in Maymyo on the 18th April, 1919, which is the same year as Mackenzie married Ruby Schultz-Markham. 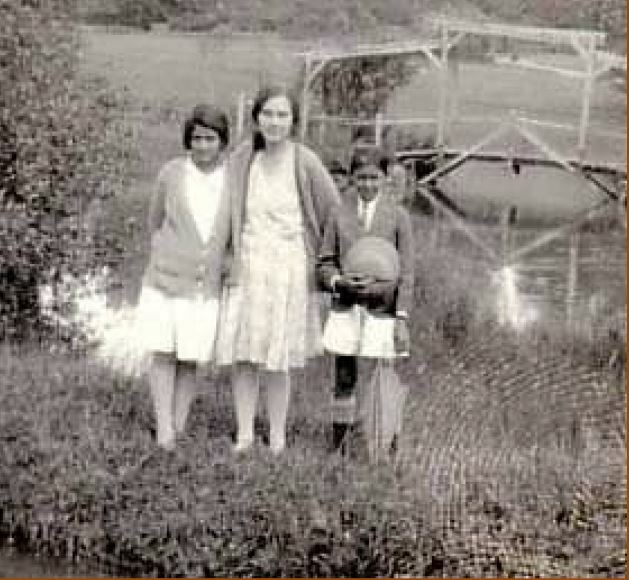 It is possible that she was being baptised so that she and her sister, Joan, could be enrolled into school of St Michael and All Angels, Maymyo, though Joan's baptism took place years later. Joan was born on the 6th September, 1915. As I mentioned, her baptism was delayed until the 28th April, 1928. In 1919 the girls were enrolled in St Michael’s and All Angels’ school which became their home for the rest of their school lives. Mackenzie had no more contact with them, except to pay their school fees. For from then on they were raised by the Sisters of the Church. These Sisters became the girls' surrogate parents and the school became their home. They often went to friends’ places for holidays, particularly to the Cornelius family whose children also attended St Michaels and lived in the “Homestead” opposite the school. Both girls remained at St Michael and All Angel’s until they graduated. Mackenzie seemed to be a somewhat severe and austere person. There is a family story that Maisie suffered a broken hip as a result of a severe fall down a steep hillside when she was about five years old. Her father would not allow her any medical treatment for many months until some of his colleagues threatened to make the matter public . Of him, AJS White, who arrived in Burma in 1922 and knew Mackenzie, writes comparing the latter to his predecessor. J.C. MacKenzie, a much better man who was very kind to me both then and in later years. But MacKenzie, too, was not easy to get on with – or at any rate to converse with. He was a broad Scot and very halting in his speech. (Curiously he was very fluent in Burmese; he had lived for years with a Burmese mistress and perhaps felt more at home in that language ). At the time of his arrival in Bassein he was in a depressed state for he missed his wife who was in Scotland and very worried about her since she was having a miscarriage ... on 27th January. MacKenzie was at last able to move into the D.C.'s house and kindly invited me to share it.. The bit about the mistress could have been gossip as by 1922 Mackenzie was married to Ruby Schultz-Markham. This also suggests that somewhere between 1919 and 1922, Ruby had returned to Scotland! 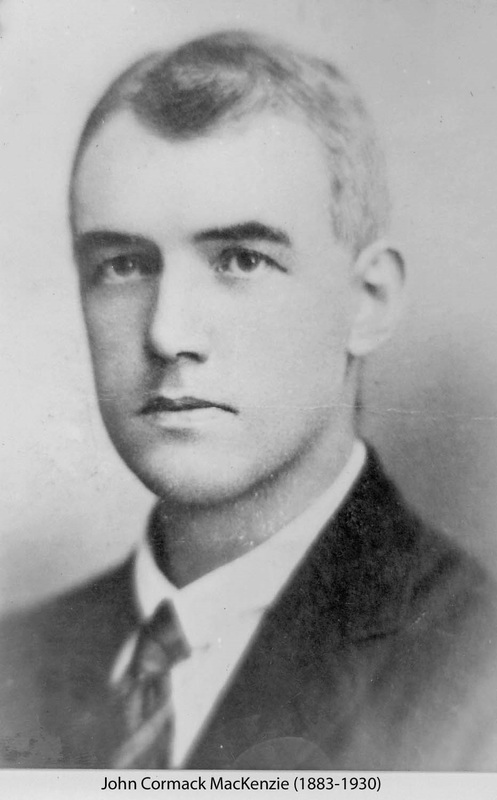 From his time in Burma, Mackenzie appears as a scholar-administrator. Victor Lieberman wrote, “As early as 1913 J.C. Mackenzie cited inscriptional evidence to argue that Pagan’s early prosperity depended on a wetter climate than in modern times” . 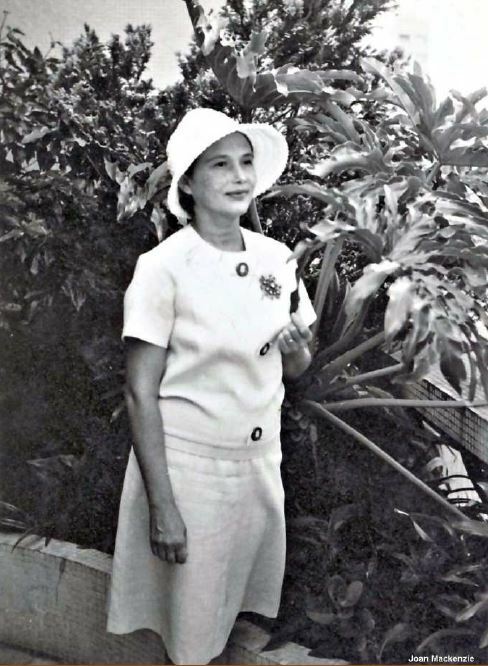 Lieberman referred to Mackenzie’s article “Climate in Burmese History” written for the Journal of the Burma Research Society . Similarly Richard Grove and Vinita Damodaran mention the same article referring to him as, “the climatic historian, J C Mackenzie, who had published an extraordinary pioneering paper in 1913 on ‘Climate in Burmese History’, relating Pagan societal collapse to prolonged episodes of drought”. 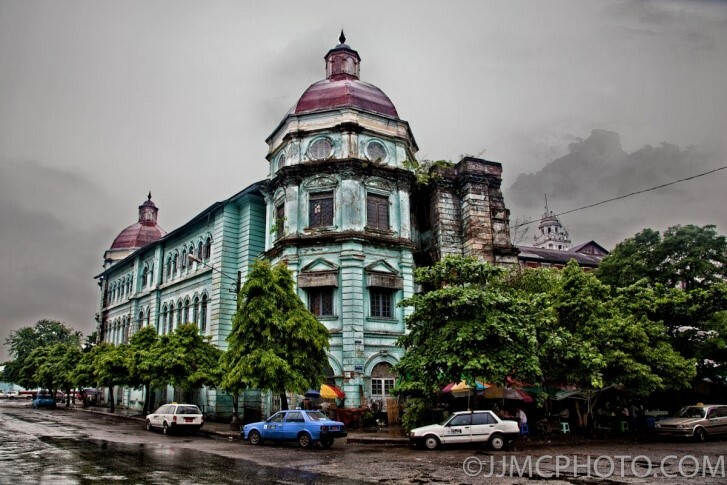 The Burma Research Society was founded on 29 March 1910 at a meeting held at the Bernard Free Library in Rangoon by J S Furnivall, J A Stewart, Charles Duroiselle, U May Oung, Gordon H Luce and Pe Maung Tin. The Journal of the Burma Research Society was the first academic journal devoted to Burma Studies. The journal started in 1911... JBRS was originally published by The Burma Research Society. It published original research which appeared in the Journal. Its aims were "the investigation and encouragement of Art, Science and Literature in relation to Burma and the neighbouring countries." In 1916 in his working through his area he apparently discovered an Celtic bronze axe head which he submitted to the British Museum as seen below: Celt (socketed, shouldered). 2 horizontal ribs at the neck. Made of bronze. Description: Celt (socketed, shouldered). 2 horizontal ribs at the neck. Made of bronze. As I previously stated, I think my grandmother, Ma Pyu, might have died sometime about 1916 as she seems to have disappeared from the scene. I recall my mother mentioning that she was taught by a governess at the age of five. 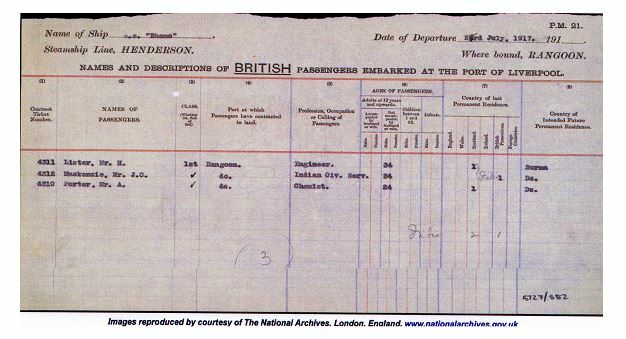 Nevertheless, in 1917, John Mackenzie had left his daughters and returned to Scotland for, as the following document shows, he was heading back to Burma on the “Bhamo” in July of that year. Possibly he was taking a sabbatical. 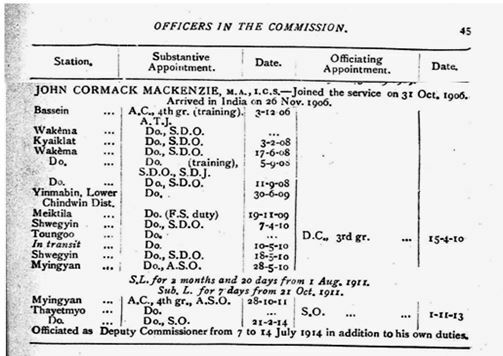 In January 1918 John Mackenzie was appointed a Deputy Commissioner. 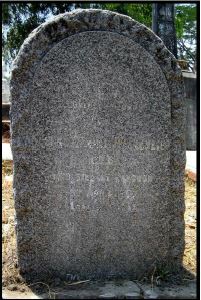 "John Cormack Mackenzie, age 36, bachelor, ICS, of Rangoon to Ruby Markham, age 26, spinster, of Rangoon, daughter of A.C.C. Schultz Markham"
Ruby Markham was the daughter of Adolph Christian Carl Schultz, Exporter, of Rostherne, Doune Rd, Dunblane. Adolph was a shipbroker in Edinburgh, then Leith, and then became a Consul General for Persia. 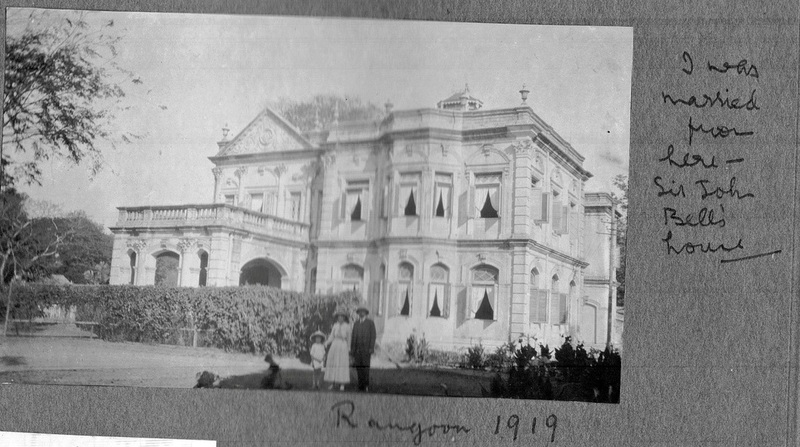 He had a sister Ruby born in 1892 so is this his sister marrying in Rangoon? I can give you more information if you wish. One might suggest that the Mackenzies and the Schultz-Markhams may have been known to each other in Leith from where they both lived and were involved in business, Mackenzie was a boat-builder and Schultz-Markham was a ship broker. Moreover, 233 Leith Walk, Leith Edinburgh is not far from at 25 East Hermitage Place, Leith. Thus it is possible that Mackenzie met Ruby on his trip home to Scotland. Though as to why they waited to wed in Rangoon, is a bit of a mystery. Anyway, John Mackenzie and Ruby Schultz Markham were married on the 10th February, 1919. In the 1920 Thacker's Directory, Mackenzie is listed as the Honorary Secretary of the Burma branch of the Countess of Dufferin's Fund of the National Association for the Supplying Female Aid to the Women of India. 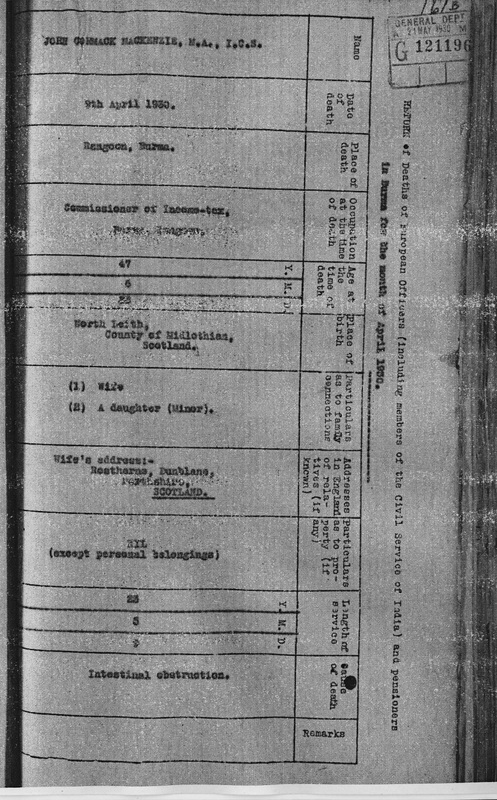 As well as this he is listed as being the Honorary Secretary of the Dufferin Maternity Hospital, Mission /road, Rangoon. Mackenzie was obviously involving himself in the life of the community. As far as his career went, Mackenzie continued to impress. On the 17th July 1919 he was appointed to the positions of Liquidator of Hostile Firms in Burma, President of the Exemption Tribunal for the Rangoon Brigade area and President of the Selection Committee for the Rangoon Brigade area. Tragedy struck the JCM and Ruby. A son, Ian, was born and died on 17th December, 1919. However, his progress in the Indian Civil Service . 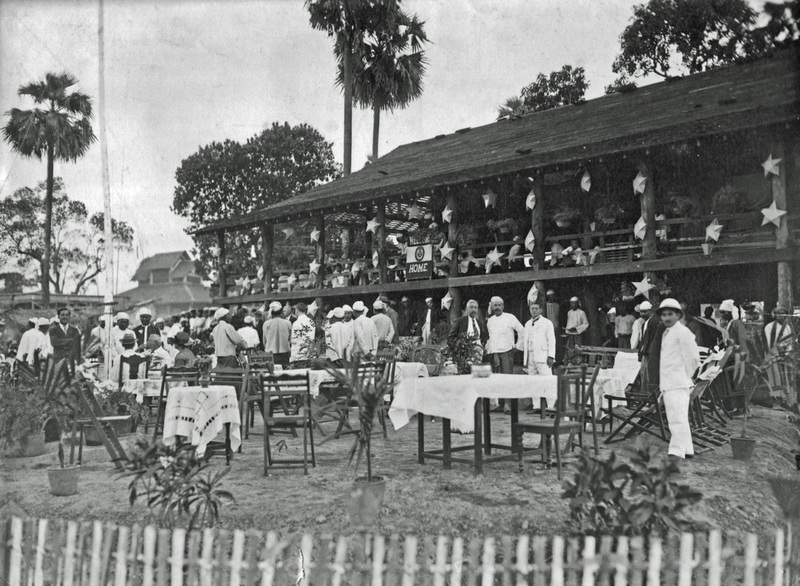 He was deputed on duty in connection with the Rangoon Development Trust during the October holidays of 1920. "When I returned to Bassein I sat with the D.C. for a few days watching him deal with various aspects of his work. He used to complain constantly of the shortcomings of his predecessor. I think he exaggerated them but at any rate he felt sure that after the laxity of Roberts a little of the iron hand was needed to restore the district's respect for law and order. I sat in on a case which he was trying in his capacity of District Magistrate because he thought it was too important to leave to one of his Burmese magistrates. It concerned a young Burmese who was said to have 'assaulted' a Karen girl. The Karens are a race akin to the Burmese who are mixed with them in some of the towns, particularly in Lower Burma (though outside the towns they often have separate villages). They are mostly not Buddhists like the Burmese and many of them, having no religion beyond animism, have taken to Christianity and been educated at American Baptist Missions. Generally they are law-abiding and rather smug, qualities for which the Burmese tend to dislike them. There was a large Karen community in Bassein and feelings between the two races happened at that time to be rather tense." Thus MacKenzie thought it necessary to nip any trouble in the bud. All that this young lad had done was to walk up alongside a Karen girl (whom he did not know) watching a football match and squeeze her arm. Even such trivial physical contact because it was in public view was considered not merely indecorous but, especially to the strait-laced Karens, a definite sin. If he had raped the girl they probably would have been less shocked because he would not have done that in front of a crowd. Even allowing for these considerations I thought that MacKenzie's sentence of six months jail was rather rough. Mackenzie was on leave for the most part of 1921. 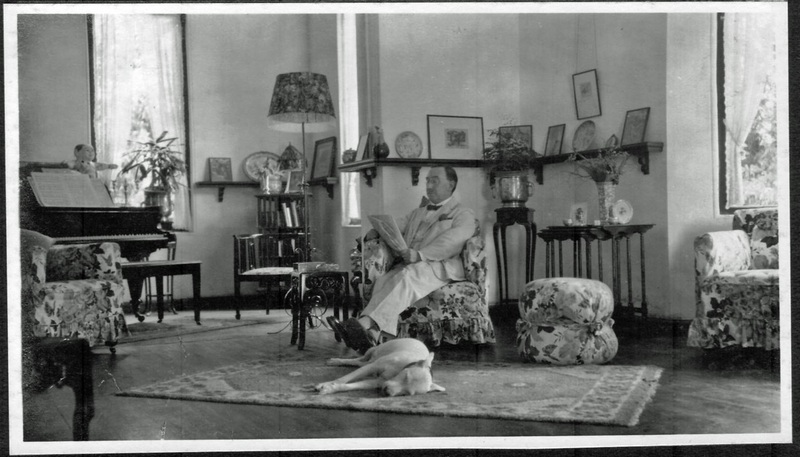 On his return in November 1922 He was appointed to Myaungmya as D.C. and then again to Bassein in 1923. Finally on 31st March 1923 John Cormack Mackenzie became Commissioner of Income Tax in Rangoon. He remained in this position until his death in April 1930 from a blockage in the bowel. He was 47. Ruby and Tutu (also Ruby) were in Edinburgh at the time of his death where Tutu, then aged 8, was being placed in school in Dunblane where her maternal grandfather lived. 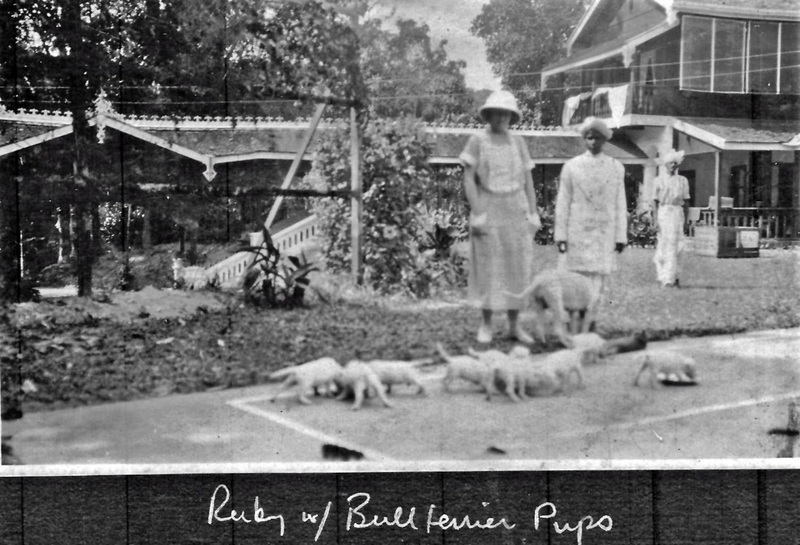 Ruby did not return to Burma until 1938 when she visited with Tutu on a sentimental trip. 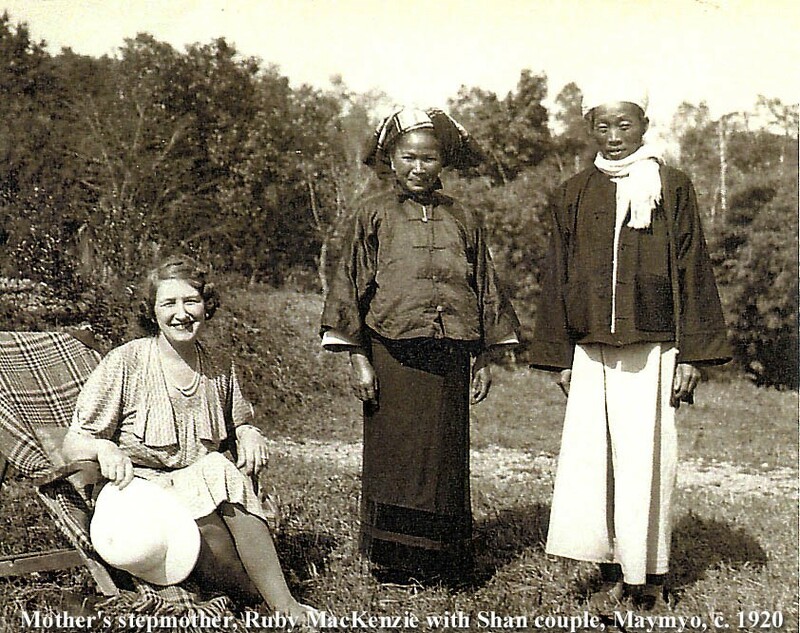 Ruby and her daughter remained in Burma until 1939 when they returned to Scotland. 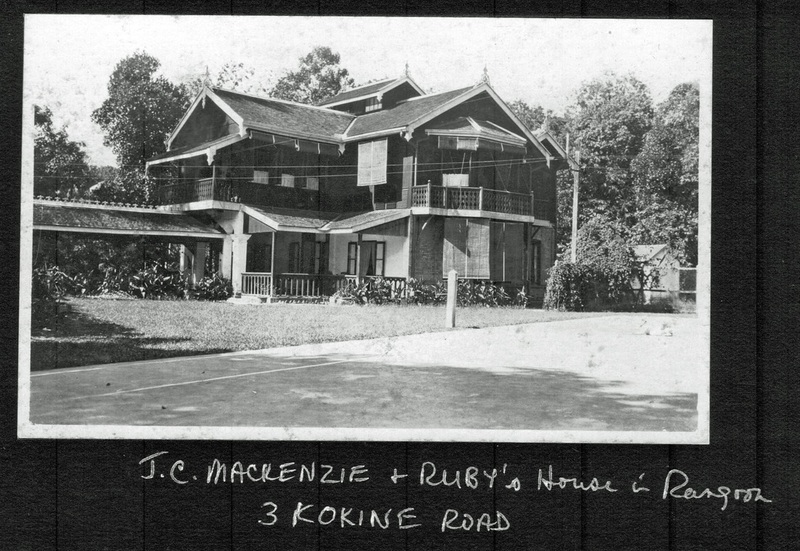 John and Ruby Mackenzie had a daughter, also named Ruby, in 1921. She was the grandmother of my cousin, Angela. 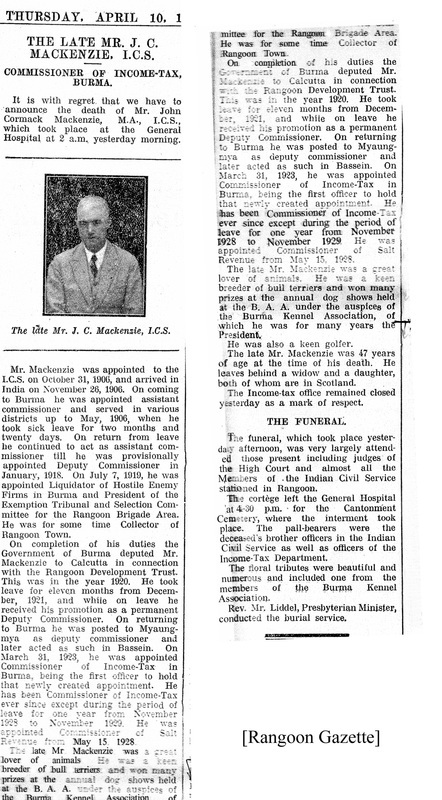 John Cormack Mackenzie ICS, died 9 April 1930 at Rangoon, age 47 years, 6 months, 23 days. 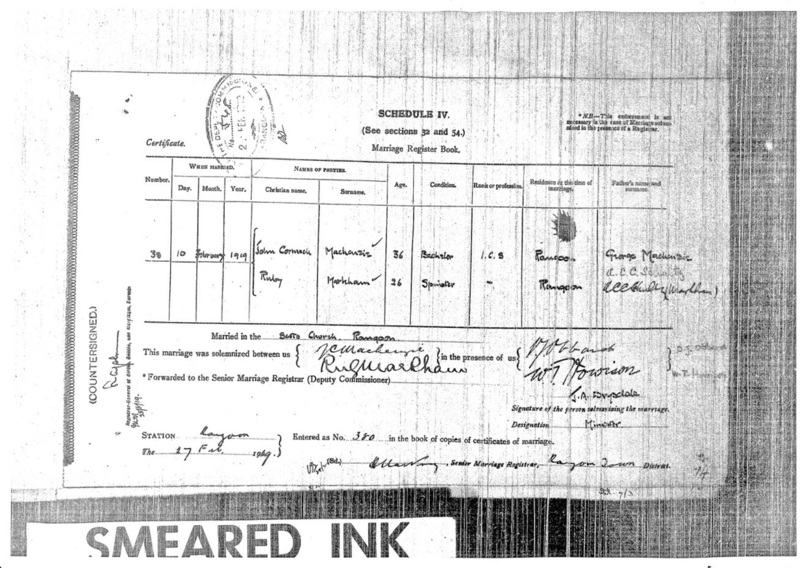 On 7th April 1939, Ruby Mackenzie and her daughter, Ruby, then aged 17 returned to Scotland where they took up residence in 48 India Street, Edinburgh. Maisie married Cecil Cornelius and had four children. They moved to India just prior to the Japanese invasion. Eventually they settled in Australia, where she died in 2005. Joan married Maurice Gallant and had three children and moved to England where she died in 1999. Maisie & Joan Mackenzie c. 1930. Hello from England. I did try to respond to your enquiry regarding the above, posted on the internet in 2008, a year or two ago, but probably it did not get through! My more technically adroit son has now lent help, so I am trying again. I am the granddaughter of JC Mackenzie and became aware of Joan and Maisie only 5 or 6 years ago following the death of my mother, and reading some of her mother’s old letters. 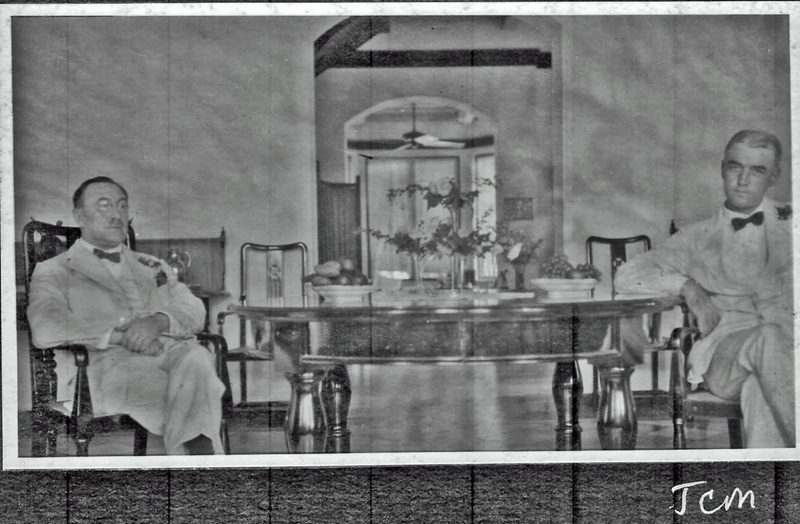 My mother was the only child of JCM and Ruby Shultz who married in Rangoon in 1919. Anyway if you would like more information please respond to this. Angela and her husband, John, had many of the missing pieces of my attempted biography of JCM! She had only discovered that there was another family that he had fathered when she was sifting through her late mother's belongings. There she found a letter to her grandmother, Ruby, from the Mother Superior of St Michael's and All Angels school. The letter asked whether Ruby would continue to support the two girls, Maisie and Joan, through their schooling and beyond. She pointed out that JCM had promised to make provision in his will for this but that had not transpired. It is to her credit that Mrs Ruby Mackenzie did carry out her husband's implied wishes as both the girls completed their education and went on to university.